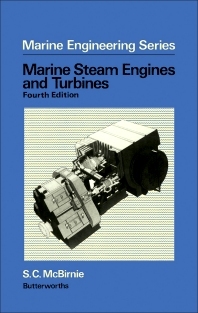 Marine Engineering Series: Marine Steam Turbines and Engines, Fourth Edition deals with the principles behind how turbines and engines function, how they progressed over the years, and how they operate. The book covers related topics such as the generation and properties of steam; the different parts and examples of turbines; turbine reduction gears; and the balance and speed of turbine rotors. The selection also covers special turbines and engines; the cycles and efficiencies of steam turbines and engines; the steam turbine theory; and future possibilities of steam turbines and engines. The text is recommended for marine engineers who would like to know more about how steam turbines and engines work.